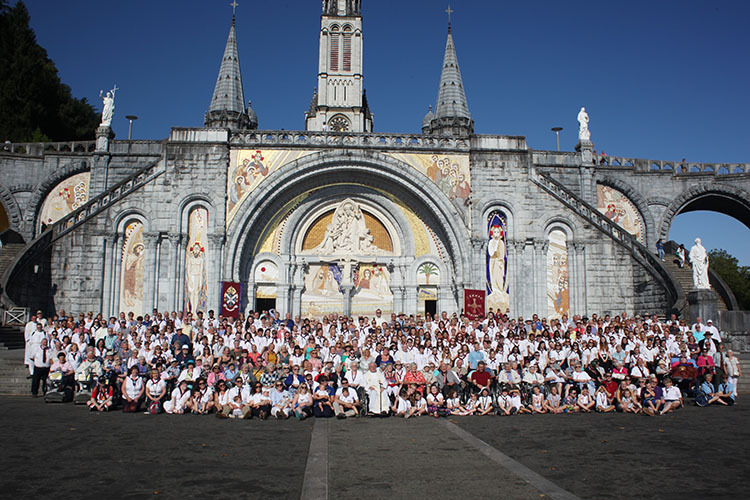 The 2018 Diocese of Hexham and Newcastle Annual Pilgrimage to Lourdes took place between Friday 27 July and Friday 3 August. A much more comprehensive collection of images and commentary are available through the Pilgrimage Facebook page. Please follow this page for news and updates throughout the year. You can also access further images and some short video footage through the their Twitter feed. Please follow them on Twitter also for news and updates throughout the year. Thank you to all the participants; pilgrims, volunteers and clergy, for making it a memorable pilgrimage and for sharing their images and comments through our social media. St. Robert of Newminster Presbytery, Oldgate, Morpeth, Northumberland NE61 1QF. Tel: 01670 513410 or email: lourdes@rcdhn.org.uk. As you a member of Lourdes Hospitalite, did you know that you can increase your contributions at no extra cost to you by claiming Gift Aid? If you are you an existing UK Tax payer, simply completing and returning this form will enable us to reclaim tax on your membership fee on your behalf. 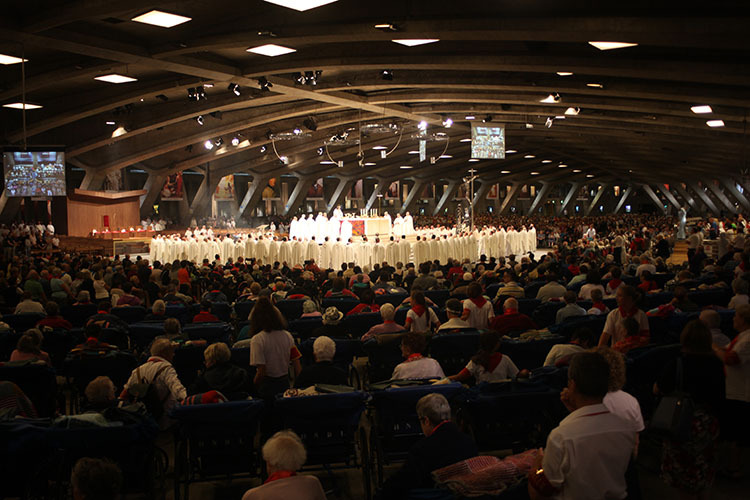 View images here from last year's pilgrimage. 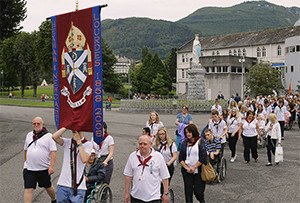 Follow this link to Flickr to see the pictures from the Lourdes pilgrimage in 2015.